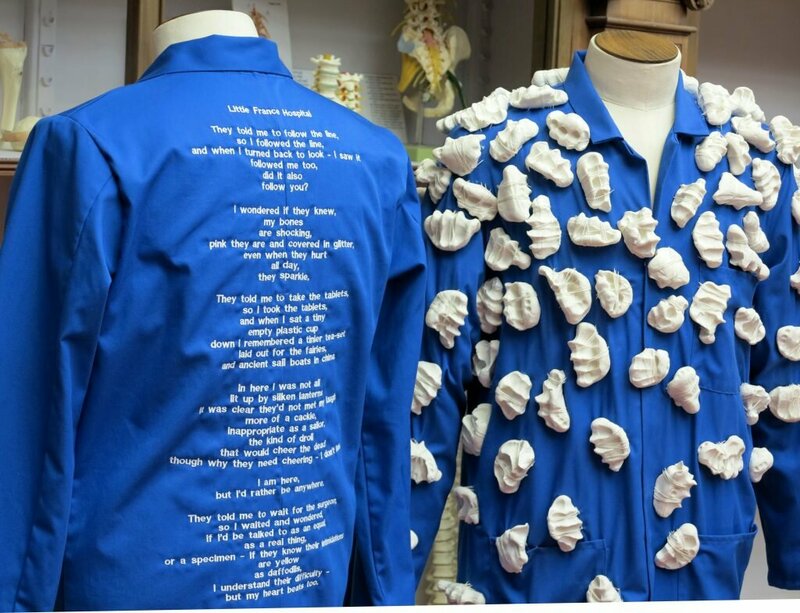 Artists Hans K Clausen and Kjersti Sletteland collaborated with writer Jenni Fagan and over 700 staff and patient participants, to present a fascinating exhibition set amidst the iconic and theatrical backdrop of the University of Edinburgh’s Anatomical Museum. Hand squeezed porcelain ‘artefacts’ produced during participatory workshops across NHS hospital sites as well as drawings, poetry, sculptures and collected biographical information were presented amidst the museums historical anatomical exhibits making for a unique and striking visual experience. Elements of the exhibition were constructed in response to the aesthetics of the museum, for example a replica of a 19th century phrenology cabinet containing a poem by Jenni Fagan, while other aspects used the museum exhibits as a backdrop in which to set their contemporary visual narrative. 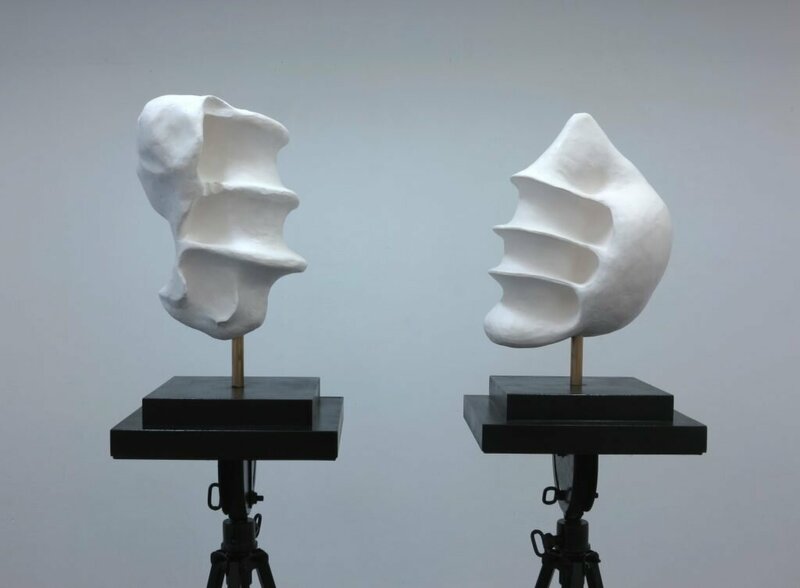 ‘Duo’, a sculpture by Hans K Clausen and Kjersti Sletteland from their collaborative work the ‘Anatomy of Fleeting Moments’, is currently on show at Edinburgh’s Royal Scottish Academy building, part of the Society of Scottish Artists 121st Annual Exhibition. 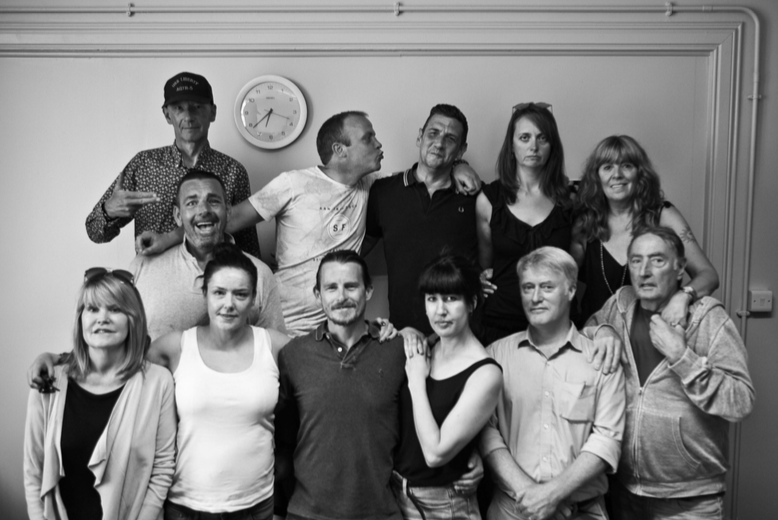 This weekend will see the final performances of ‘Where it Hurts’, directed by Jeremy Weller, at the Edinburgh Fringe Festival. The show has been received to high acclaim, with the Independent.co.uk and The Skinny both awarding it 4 stars. 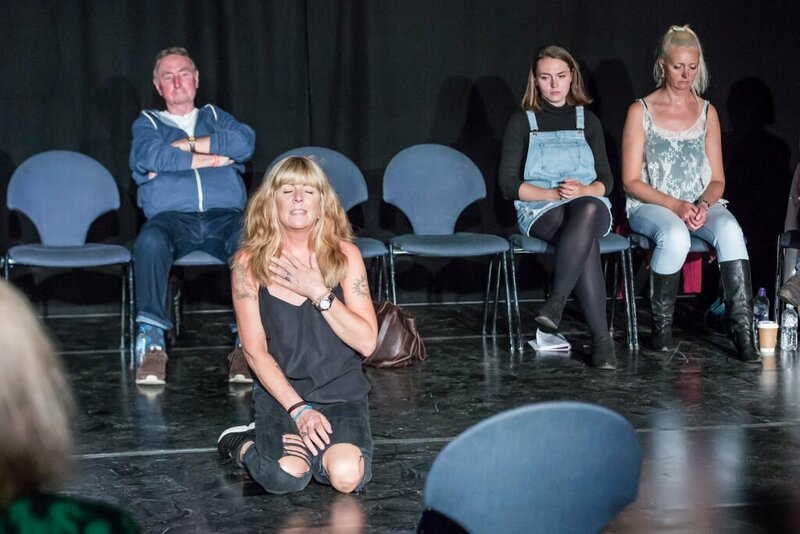 The Scotsman named it as a highlight of the Edinburgh Fringe Festival 2018, while The Stage gave the show 5 stars, commending the way the show ‘nailed the zeitgeist’ in its portrayal of ‘compelling verbatim accounts of mental health crises, performed by those directly affected’. Invitation to the launch of this year’s most talked about play at the Fringe 2018. Former NHS Artist in residence Jeremy Weller and The Cast invite you to be one of the select audience to help launch our latest production which celebrates the NHS in it’s 70th year. The performance will take place at Summerhall (1 Summerhall Place, Edinburgh) at 3pm on Sunday 29th July in TechCube Zero. We would advise you to be at the venue and seated for 2.45pm. We very much look forward to you joining us at the beginning of our Festival journey. Patricia is one of the participants in the production being directed and produced by Jeremy Weller as part of his residency ‘Where it Hurts’. A wide ranging group of individuals have come together to explore personal experiences of accessing NHS services. What a miracle you are Mama NHS! Why did you not reverse it all Mama NHS? If there ever was a presence so loving, caring, compassionate, intelligent, creative, powerful, gentle and strong! ‘Hospital Impressions’ is a project which comments on the transition of the old hospital building to the new one through participation exploring notions of time, memory and place. Staff, visitors, patients and relatives created unique hand impressions by squeezing a ball of raw porcelain during several workshops across four Edinburgh Hospital sites, ‘exploring the emotions that are captured in a moment of reflection and in the intimate space of a hand hold’, said lead artist in residence Hans K Clausen. Having collected, fired and collated over 600 impressions, Hans and collaborating artist Kjersti Sletteland wanted to find a way of reflecting on the process thus far, to critically analyse the purpose and potential of the project and also to share it as a work in progress. In November 2017 they hosted a research day at the City Art Centre focussing on two distinct research approaches. In the morning members of the public were invited to take part in drawing workshops where, led by a life-drawing tutor, an architect and a contemporary image maker, they were asked to observe and draw the Hospital Impressions which were displayed in the gallery space, engaging with the pieces in new, visual and very tactile ways. The resulting 150 drawings have provided the artists with another lens through which to consider the project and some of the drawing contributions may be incorporated into the project outcomes. In the afternoon a panel of professionals and academics from a broad section of disciplines were invited to a round table discussion to respond to the Impressions from their professional perspectives. The panel included; a psychotherapist, an archaeologist, an art therapist, an anaesthetist, a physiotherapist, a hospital chaplain, a museum archivist, a ceramic artist, a senior nurse, a poet and a material culture PhD student. It was chaired by Jonathan Wyatt, director of the University of Edinburgh’s Centre for Creative-Relational Inquiry. What struck them was the simultaneous uniformity and difference of the objects. One participant likened the artefacts to bones, while another was moved by the time people took to examine each piece. A recorded transcription of this debate has given Hans and Kjersti a rich and varied insight to the possible associations and narratives that the work can have, and is now informing their thinking about the final project outcomes. 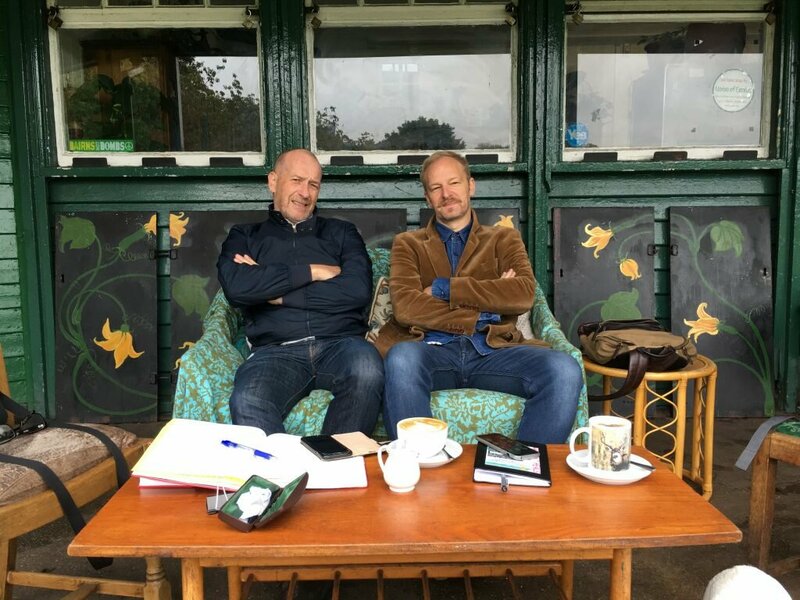 Artists in Residence Jeremy Weller and Hans K Clausen have been exploring the relationships and experiences of hospital staff and patients, and the impact and dynamics of hospital communities moving and evolving, in their residencies: ‘Where it Hurts & Where it Heals’. 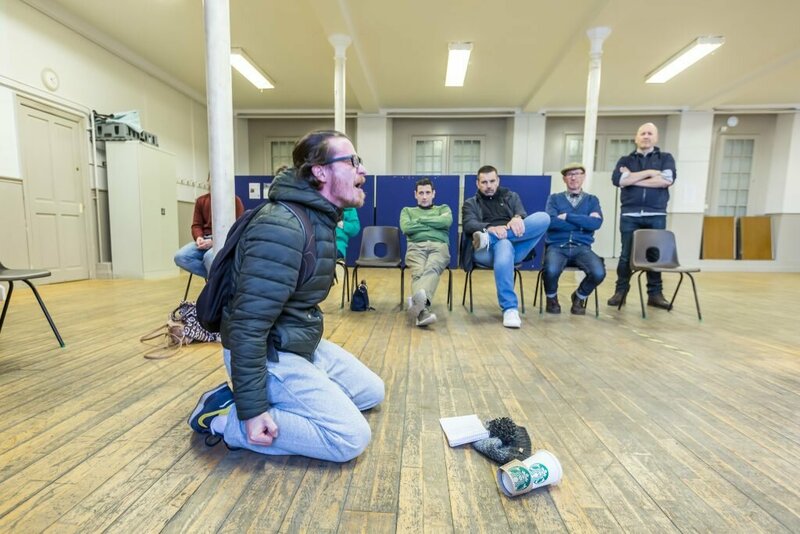 Writer and film and theatre director Jeremy Weller has created ‘Where it Hurts’; an hour long performance involving members of different communities from across Edinburgh and some former staff of the NHS and those currently training to work in the NHS. The current ambition is to stage the performance in a decommissioned ward space later in March or early April. The participants, all of whom have had life changing experiences from the NHS, have come together in a workshop setting to share their experiences of engaging with NHS services whilst exploring how those experiences of care have affected their health and wellbeing. The performance explores these people’s experiences of accessing help at the NHS. Scenes include real life examples of mental ill health, suicide, addiction, domestic violence, neglect, family breakdown, childhood trauma, isolation, illness, self harm and of often having no one to turn to accept the staff of the NHS. The performance explores why individuals chose to spend their lives caring for others. A common theme that emerged from this process is the fact that some of the people who came to the NHS seeking help actually returned to train as NHS staff, with the hope of somehow repaying the care and support they received in their time of need. The performances are deeply personal and extremely moving, questioning the idea of what ‘care’ is whilst exploring how those who most need it live complex lives and are often not able to say what it is that really affects them. The other major theme that is explored in the work is the incredible dedication and sacrifices that are made by NHS staff to help those in the community who are most in need of support. Having met with people across all areas of the hospitals, Jeremy and Hans have been collecting conversations, stories, images and recordings to inform their work. Focusing on the inside/inside relationships as well as the inside/outside relationships, Hurts and Heals aims to express the breaking down of barriers between staff and patients; staff and staff; wards and wards. Drawing on Hans’s background as a sculptor, Hurts and Heals has so far collected hundreds of unique impressions in porcelain china from a wide range of people in the hospital community. Through public outreach visits, this strand of Hurts and Heals- called Hospital Impressions- invites people to stop for a couple of minutes, take a couple of deep breaths and squeeze a ball of raw porcelain. 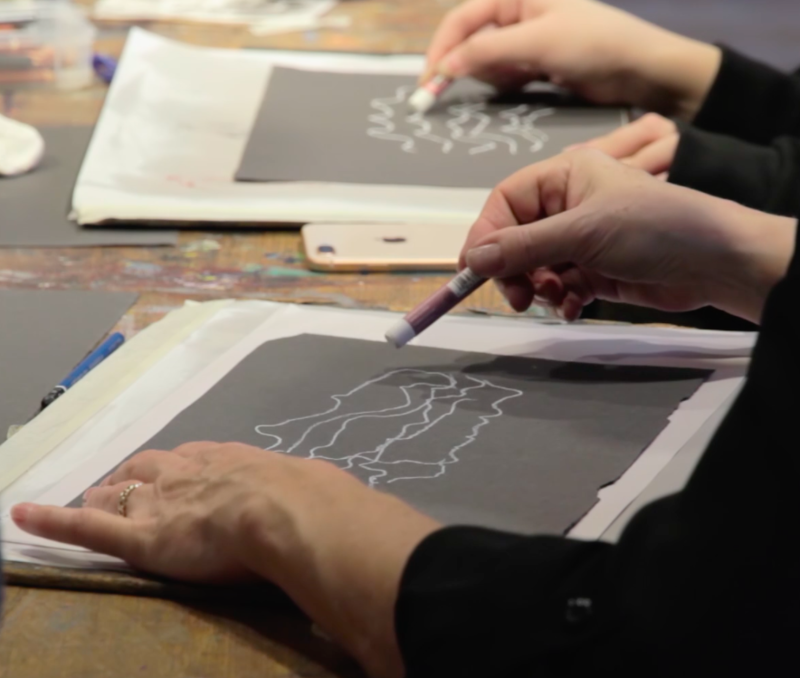 After participants have created their impression in porcelain, they are asked to write down what the experience made them feel or think and this goes to create a physical artefact of an individual’s moment in time. Hans developed the idea for Hospital Impressions after a conversation with a nurse who shared with him ways in which patients have left emotional impressions on her and his own observations of the impressions people make passing through places, like lipstick on cups, doodles on paper or old postcards on noticeboards. 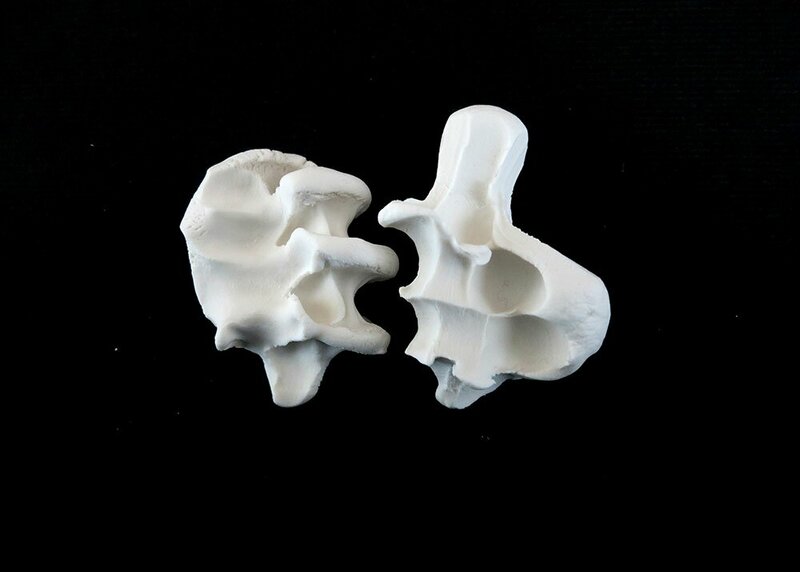 How sculptural outputs might combine with Jeremy’s specialism as a theatre director for a final piece of Hurts and Heals is something the two are exploring. Last month, a workshop co-hosted by DCN fellow Susana Cámara Leret and ‘smeller’ Joy Milne, who has the extra-ordinary ability to smell Parkinson’s Disease, was held at the Alt-w LAB to explore ways in which smells encode memories. Attendees used pens and coloured pencils to document on a grid the memories, feelings and words evoked by 8 mysterious smell samples offered up to them by Susana. Susana prepares smell samples for workshop attendees. As each sample was handed to workshop attendees, they were reminded that smells are multi-layered: at first they may be offensive but keep taking the smell in slowly and they might find they change quite a bit. From human sweat to plant pheromones, molecules can be found in the composition of many everyday smells. As we establish associations to these, experiences from the medical setting might extend beyond the walls of the hospital, calling for other articulations in matters of care. The group talked about smells that brought on memories of old workplaces, a GP’s office, being on a farm as a child and those that evoked an emotion or the strange sensation of knowing a smell but being unable to conjure up the word to describe it. Seaweed, petrol, sweaty feet, garlic, cumin were some of the words attendees used to describe the 8 mystery smells. At the end of the workshop, everyone learned what they had been smelling all along: molecules found in types of human decay. A workshop attendee documents his memories and thoughts after smelling each sample. The aim of the DCN fellowships are to promote and highlight the working activity and research interests found in the DCN through a programme of dynamic art and science commissions. Development of work using current research practices is key to each fellowship in the programme. The fellowships seek to build relationships between artists, staff and external research partners to demonstrate best practice and contribute to dialogues about the benefits of creative practice in clinical environments. Two artist residencies which take as their starting points the relationships and experiences of hospital staff and patients and the impact and dynamics of hospital communities moving and evolving. A visual artist and a writer/director are working organically and relationally across four hospital sites identifying and initiating opportunities for creative dialogue to generate collaborative artistic and cultural projects.